Of the many storylines up and down the Dubai 24 Hours paddock, Jon Barnes and Mark Famer’s debut in the event with Century Motorsport was one of the more intriguing ones that caught the DSC deputy editor’s eye. 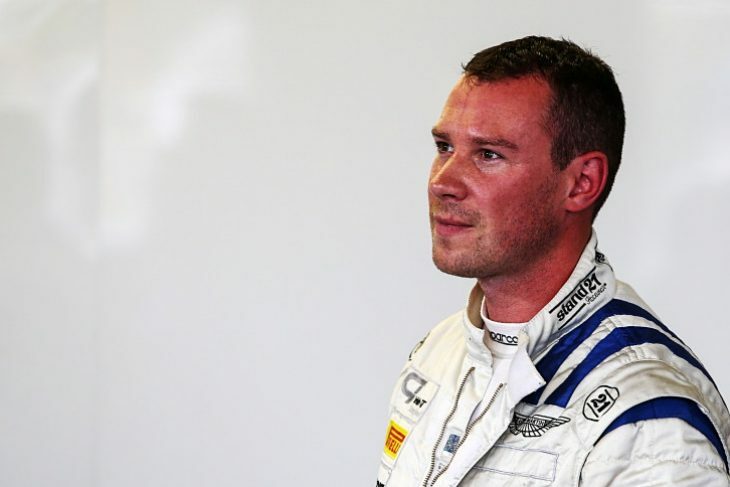 A race-winning partnership in British GT, Barnes and Farmer are set to part ways in 2018, after Aston Martin factory driver Nicki Thiim was announced as Farmer’s new teammate for the season. 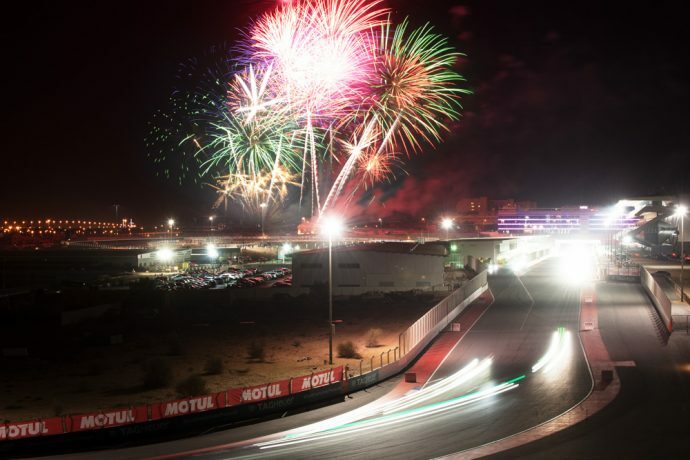 That change meant that unintentionally, the 24 Hours of Dubai this month was a swansong for the duo, who had spent three years racing together, and had already planned to contest the Dubai 24 prior to TF Sport’s driver re-shuffle. 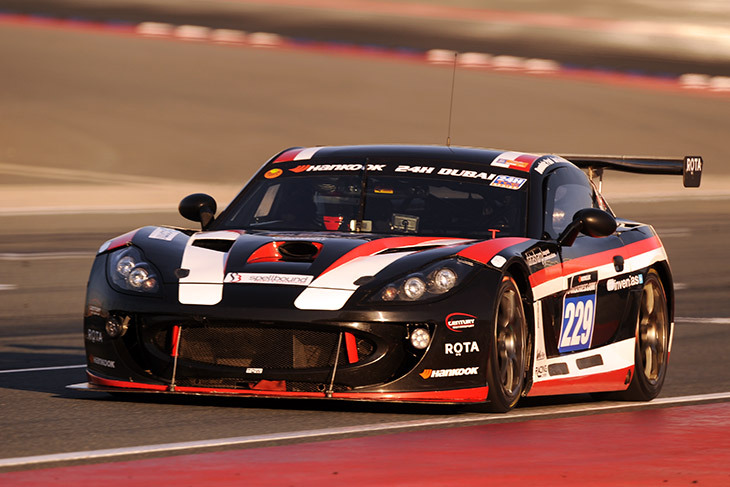 “The Ginetta is a great car, it’s so easy to get to grips with and drive,” Barnes said to DSC. “It’s not an easy circuit, and getting used to a new car in just one day isn’t either. That’s why we come and do this, easy races are not much fun. I’d not driven the circuit, or the Ginetta, but it was fine. 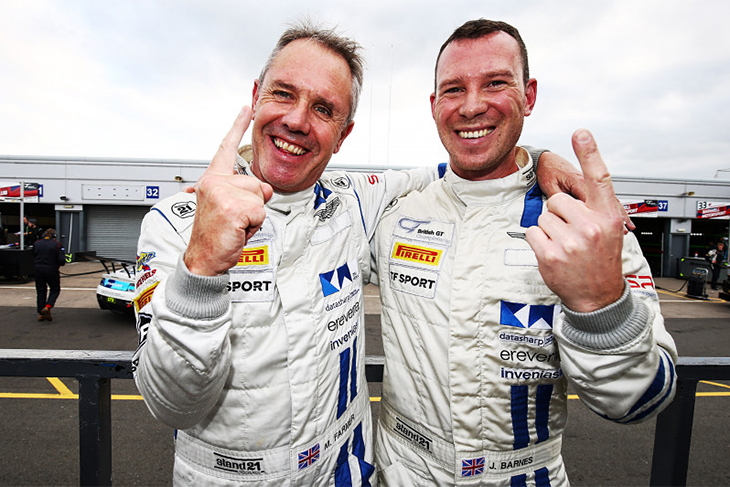 It was a really new experience for Barnes, who in the past had only competed in a 24-hour race once, at Silverstone. And with Dubai being the gruelling race that it is, predictably it threw some real surprises the way of Century’s crew. But that was all thrown out the window, when six hours in, the engine blew. “Normally, any engine failure you get in a race costs you dearly, usually it’s over for you. But thankfully Creventic is lenient in its rules, they’ve got an interest in everyone making the finish,” he explained. Despite having to change the engine, the team continued and eventually the car finished classified fourth in the attrition-hit SP3 class after managing to complete 475 laps. “They were heroes, the boys got stuck in, I’m really grateful for that hard work. Six hours in they were there putting a new engine in when a lot of teams would have thrown in the towel. Overall Barnes’ experience in the race, which featured over 90 cars, a lot of night running, and a real mix of driving talent, was a positive one, the Englishman coming away wanting to return in the future. “I think after that one, we all wanted to get back in and carry on!” Barnes said. “I definitely want to go back to Dubai, it’s a fun race, and if we got the chance, I think the four of us would love to do it again. “For me, the most memorable part was the first night stint in the race I did at about 11pm. I mean, that was a proper eye-opener. I spent about 75 percent of the time looking in my mirrors for GT3 cars, as they come out of nowhere in the pitch black and all of a sudden are right next to you. That was the most mentally taxing stint I’ve ever done. “As a whole too, it was memorable. It’s got far more presitige that I was expecting. it was great to see the race getting so much attention in the media, and being treated so professionally by everyone in the paddock. It’s early to be thinking about Dubai 2019 though, as for the rest of 2018 Barnes’ commitments are unclear. With a return to British GT with Farmer now not an option, he’s pursuing other drives domestically as well as on the continent in Blancpain. “We ended our time racing together on such a great note,” said Barnes when asked for his thoughts on his final race with Farmer, and how the future looks. “After the race we went to Yas Marina, and spent time in the AMR garage watching their GTE car in action for some testing before we headed home. Then we officially ended it all with a cup of coffee at Heathrow. “It’s been a really good few years with Mark, I’ve loved every minute of it, and have become really good friends with him and his family. I wish him all the best for the future. This is definitely how you want to end something like this, having fun and racing hard.